Meg Cole is the Program Administrator for the Cornell Population Center. She received her M.P.A. 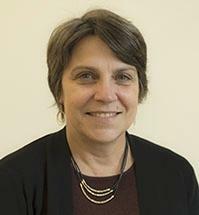 from the State University of New York at Brockport and has worked in many leadership roles in the nonprofit field, most recently as Chief Operating Officer of the United Way of Tompkins County. Her work includes grant development, research activities coordination, database and website development, extensive public service and community engagement.